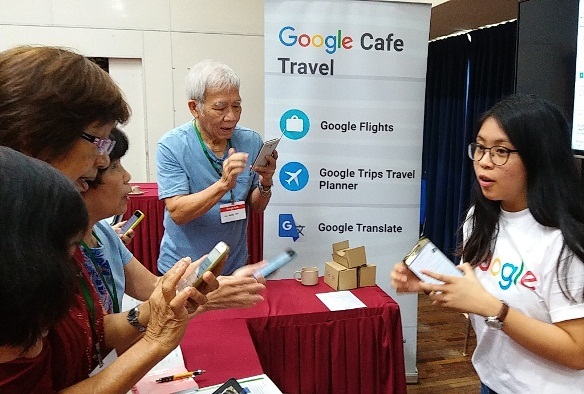 Kudos to Google Malaysia for organizing Google Cafe for Seniors held today (28 April 2017) at YMCA, Brickfields. Very timely too, as of late I have been bringing up the issue of seniors being left behind in the Digital Age, not just in my recent talk at Petrosains, but also in a letter to The Star, and only yesterday on BFM89.9. Head of Communications at Google Malaysia, Zeffri Yusof, giving the seniors an overview of what they will be learning. So what did the seniors learn today? Plenty. 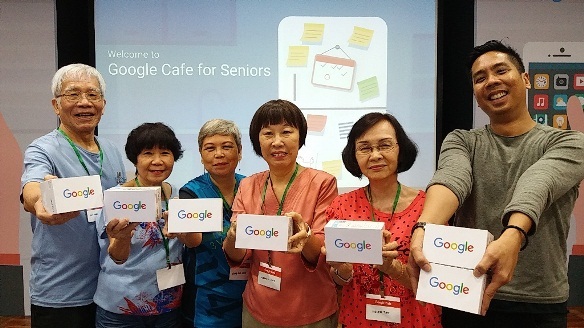 With their copy of Google Passport and their smart phones, the seniors went to each of the four stations to learn how to use various apps in Google Search, Google Plan, Google Travel and Google Photo. Although I have been a blogger and administrator of several social media platforms for over a decade, there were new things for me to learn. Always. Many of the seniors had their first experience of virtual reality. 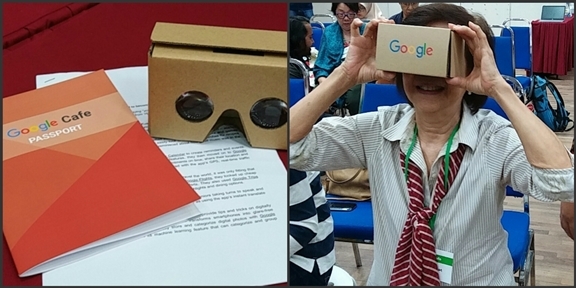 Armed with their VR cardboard goggles, they went on Google Expeditions, exploring exciting destinations via 360 degrees virtual reality. So much fun! To be sure, there was a lot of hand-holding from the facilitators who were only too happy to explain, guide and demonstrate how the apps work. 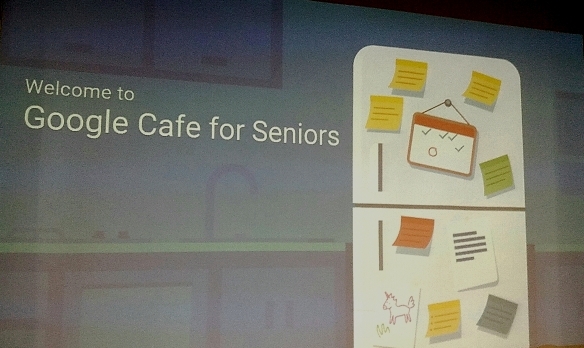 It takes a lot of patience to teach seniors technology, but the Google team were definitely up to the challenge. So much excitement as the groups vied to be the first with the correct answers. Group representatives in the final challenge on stage. The last item was a trivia quiz to test their understanding of what they had learned. There was so much excitement and laughter as the four groups tried their best to beat the timer with their answers. The winning team with the highest score received their well-earned prizes from Zeffri. 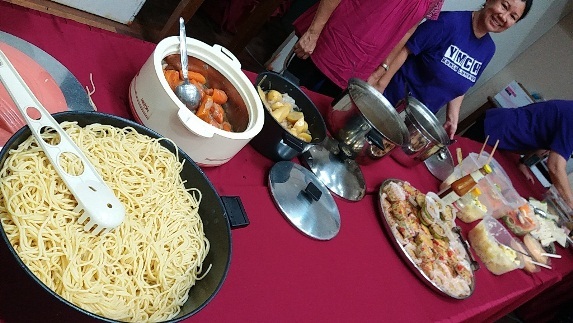 To conclude the event, the seniors were treated to a delicious buffet lunch, courtesy of Google Malaysia. 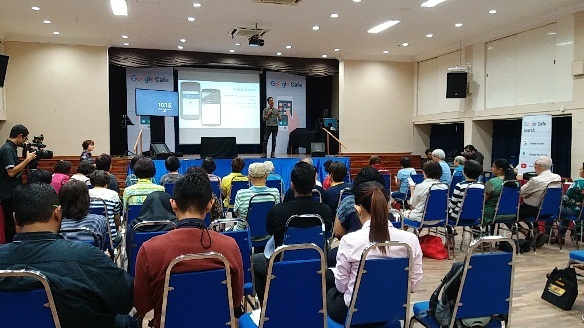 Final words from Zeffri: "Today's event shows you're never too old to learn about useful technology, and it's never too late to acquaint oneself with the apps and tools on your smart devices to make your day smoother, more productive and fun." We couldn't agree with you more, Zeffri! 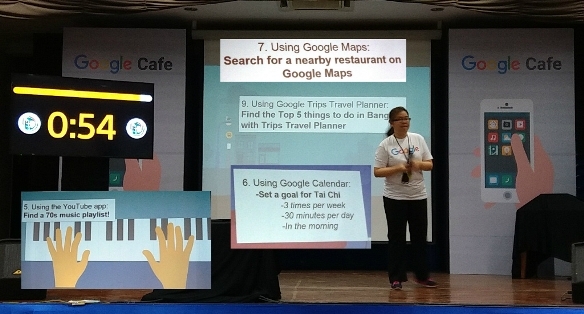 Syabas to Google Malaysia for organising a very successful Google Cafe for Seniors. 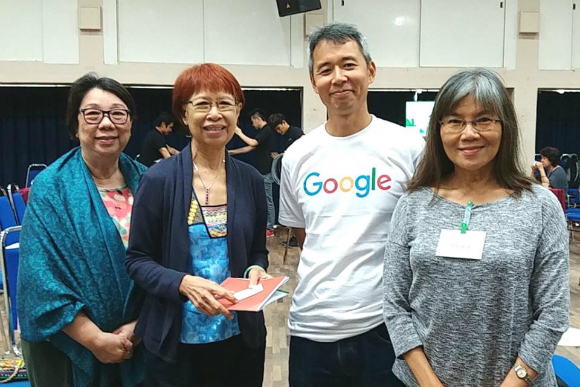 From SeniorsAloud: Catherine, Choke Ling and Lily with Rene (in Google tee-shirt). 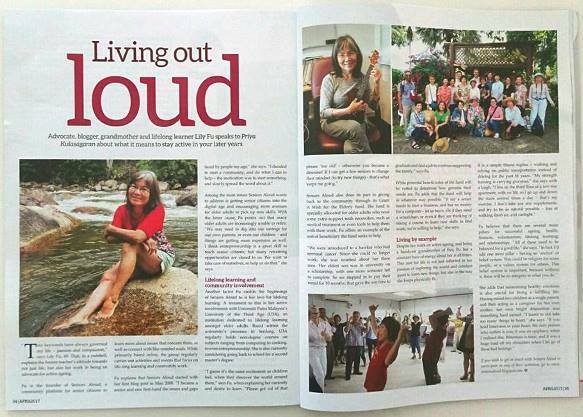 "Two keywords have always governed my life - passion and compassion," says Lily Fu, 69. That, in a nutshell, explains the former teacher's attitude towards not just life, but also her work in being an advocate for active ageing. 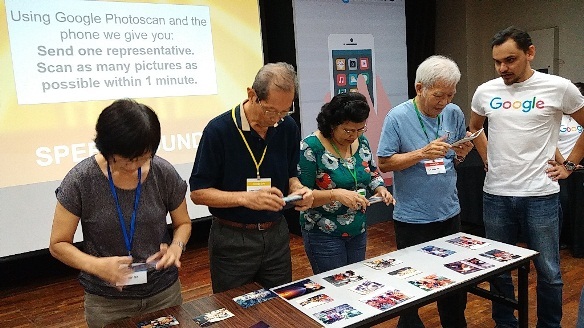 Fu is the founder of Seniors Aloud, a community platform for senior citizens to learn more about issues that concern them, as well as connect with like-minded souls. While primarily based online, the group regularly carries out activities and events that focus on lifelong learning and community work. Fu explains that Seniors Aloud started with her first blog post in May 2008. "I became a senior and saw first-hand the issues and gaps faced by people my age," she says. "I decided to start a community, and do what I can to help - the motivation was to start something and slowly spread the word about it." Among the main issues Seniors Aloud wants to address is getting senior citizens into the digital age and encouraging more avenues for older adults to pick up new skills. With the latter cause, Fu points out that many older adults are increasingly unable to retire. "We may need to dig into our savings for our own parents, or even our children - and things are getting more expensive as well. 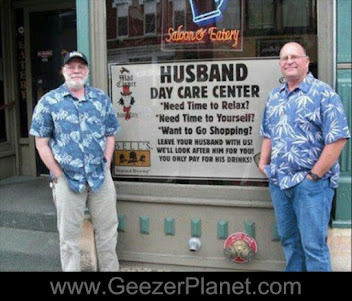 I think entrepreneurship is a great skill to teach senior citizens; but many retraining opportunities are closed to us. 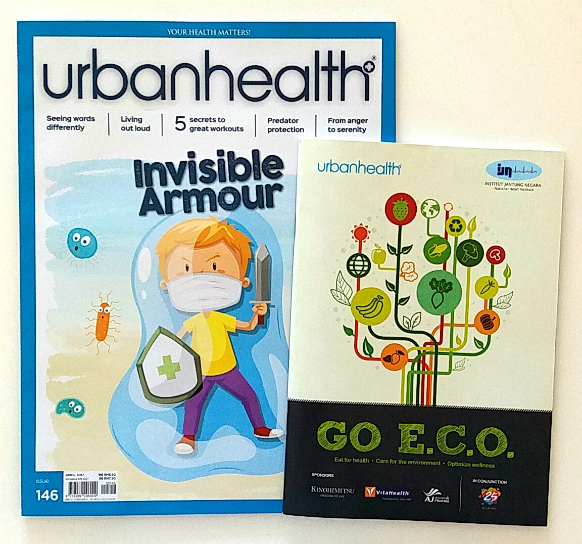 We want to take care of ourselves, so help us do that," she says. 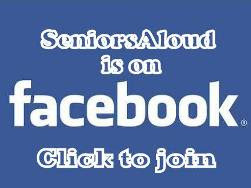 Another factor Fu credits the beginnings of Seniors Aloud to is her love for lifelong learning. 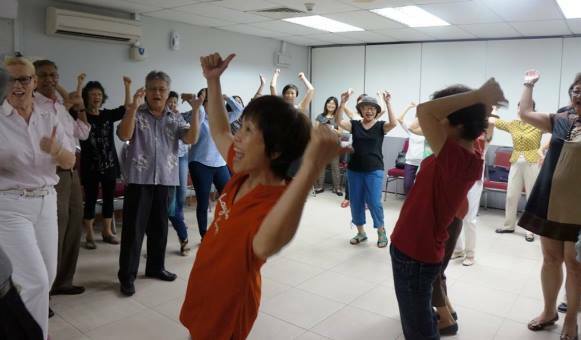 A testament to this is her active involvement with Universiti Putra Malaysia's University of the Third Age (U3A), an institution dedicated to lifelong learning amongst older adults. 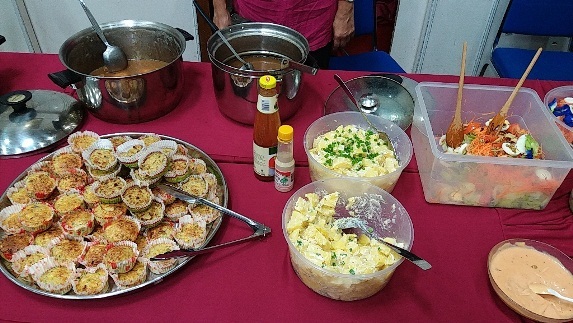 Based within the university's premises in Serdang, U3A regularly holds non-degree courses on subjects ranging from computing to cooking to even entrepreneurship. She is also currently considering going back to school for a second master's degree. "I guess it's the same excitement as children feel, when they discover the world around them," says Fu, when explaining her curiosity and desire to learn. "Please get rid of that phrase 'too old' - otherwise you become a dinosaur! If I can get a few seniors to change their mindset (to try new things) - that's what keeps me going." Seniors Aloud also does its part in giving back to the community through its Grant A Wish for the Elderly fund. The fund is specially allocated for older adults who need some extra support with necessities, such as medical treatment or even tools to help them with their work. 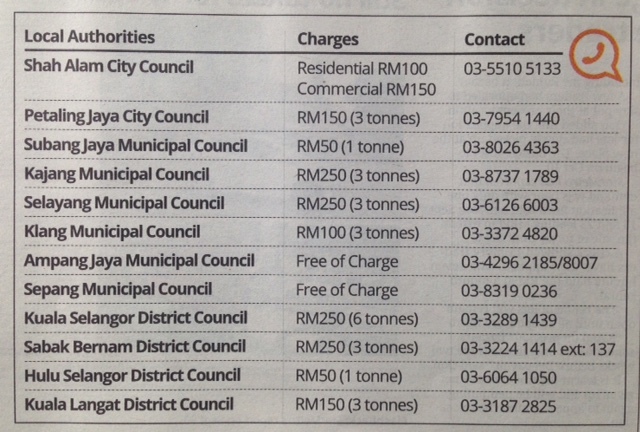 Fu offers an example of the sort of beneficiary the fund seeks to help. "We were introduced to a hawker who had terminal cancer. Since she could no longer work, she was worried about her three sons. Her eldest son was in university on a scholarship, with one more semester left to complete. So we stepped in to pay their rental for 10 months; that gave the son time to graduate and find a job to continue supporting the family," says Fu. While potential beneficiaries of the fund will be vetted to determine how genuine their needs are, Fu adds that the fund will help in whatever way possible. "If say a senior needs to start a business, and has no money for a computer - let us know. Or if they need a wheelchair, or even if they are thinking of taking a course to learn new skills to find work, we're willing to help," she says. Despite her work on active ageing and being a hands-on grandmother of five, Fu has a constant buzz of energy about her at all times. This zest for life is not just reflected in her passion of exploring the world and constant quest to learn new things, but also in the way she keeps physically fit. It is a simple regime - walking and relying on public transportation instead of driving for the past 16 years. "My strength training is carrying groceries," she says with a laugh. "I live on the third floor of a low-rise apartment with no lift, so I go up and down the stairs several times a day - that's my exercise. I don't take any supplements, and try to be as natural as possible - lots of walking, fresh air, and sunlight." Fu believes that there are several main pillars for successful ageing: health, finances, volunteerism, lifelong learning, and relationships. "All of these need to be balanced for a good life," she says. "In fact, I'd add one more pillar - having an 'anchor' or belief system. This could be a religion for some people, or a values system for others. This belief system is important, because without it, there will be no integrity in what you do." She adds that maintaining healthy emotions is also crucial for living a fulfilling life. Having raised two children as a single parent, and then acting as a caregiver for her own mother, her own bright disposition was something hard earned. "I learnt to not take too many things to heart," she says. "If you hold bitterness in your heart, the only person who suffers is you; it was an epiphany when I realised this. Bitterness is toxic; and it was a huge load off my shoulder when I let go of these bad feelings." On Chap Goh Meh the last day of the celebration of the Rooster Chinese New Year, 40 golden girls from Holy Infant Jesus Convent, Johore Bahru got together. 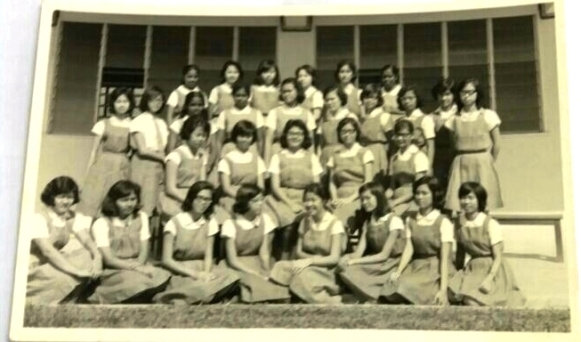 In 1964 they sat for the Malaysian Certificate of Education. They were only 17 years old then and after that they pursued their dreams, embarked on a career, and raised a family. This year 2017, they are now 70 years old - definitely a milestone to celebrate and hold a big reunion at a local hotel in Johor Baru. 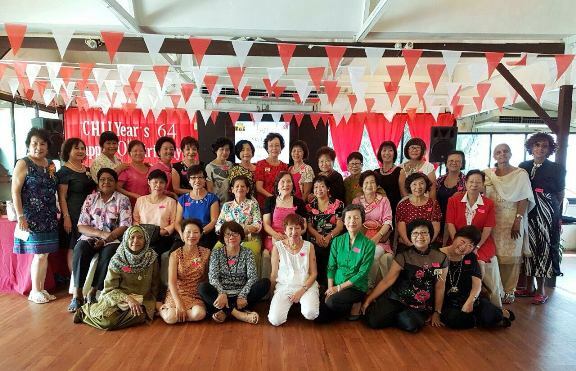 It was indeed a grand reunion as the ladies walked down memory lane together. Thanks to the organisers who were based in JB and the wonders of the internet, emails were sent to set the day and venue. Many of the ladies had mixed feelings. 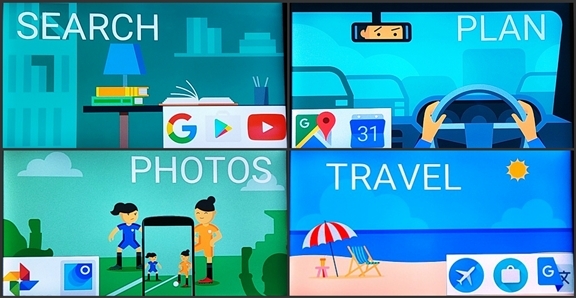 Would we be able to recognise each other? Would our memory fail us as we recall our classmates' names? But the minute we set eyes on each other, our fears were allayed. Also name tags helped make remembering so much easier. And so there were shrieks of laughter as we renewed friendships. The emcee had difficulty in calming the excited ladies as they went round to mingle and get their life stories updated. Finally we were all seated ready for the programme. We started by singing the national anthem Negara Ku, followed by a minute of silence for five teachers and six classmates who had passed away. We then sang our school song. One verse of the school song was a tribute to the late Sultan Ibrahim who gave the school a statue of Mary which still stands in front of the school to this day. Before lunch was served, the emcee requested a thanksgiving prayer by a Malay classmate followed by a Christian classmate who said grace. The lunch was sponsored by one of the golden girls. While eating the ladies moved from one table to another to mingle, take photos and reminisce. There was so much merriment and mirth as they exchanged notes on careers and family. Meanwhile the organisers had prepared a video presentation of the photos of yesteryears and again there were guffaws of laughter as we looked at the younger version of our good selves. Oh to be young again was the wistful look on many faces. Other comments were how did we balloon to our present size? In the same breath we were more than thankful that we were all there to celebrate the 7th decade of our lives. The emcee had a small competition. First we wanted to know which golden girl had the most grandchildren. Our classmate from Perth hah a son who had eight children, their ages ranging from one to fifteen. So she won. The next prize went to the one who had the oldest grandchild. This was won by another classmate who proudly told us that she had received an ang pow from her 26-year old grandson before she came for this reunion! The last prize went to the classmate who travelled the furthest for the reunion. She had come for the reunion all the way from Washington! Photos of family members were whipped out from the iphones and, believe it or not, there were some anxious mamas who were heard advertising the availability of their unmarried children .....yes match-making in full swing! I can imagine the response from their children if they knew what their mothers were up to. There were also invites to visit from those living abroad. Next up was the cake-cutting ceremony for those who celebrated their birthdays in February. To get rid of our calories after the sumptuous lunch three golden girls led the others to a session of line dancing. It was really fun and hilarious as they listened to the instructions and tried their best to follow the steps and dance. The ladies were not going home empty handed. There were door gifts of smart balance oil given by one classmate, a handicraft from the organisers and a magnetic bookmark given to everyone. This bookmark came from an autistic centre where one of the golden girls was a volunteer. Yes it was really a joyous reunion .....40 ladies in their 70s and not a white-haired woman around, thanks to the art of dying one's hair! Nobody was in a wheel chair and I noted no one needed a walking stick. The conversations ranged from useful exchanges of homemade remedies, how to get rid of arthritis, frozen shoulder, trigger finger, pigmentation, weight loss, to tips on how to look younger and many more. But all good things had to come to an end. When it was time to say goodbye, there were more hugs, also more promises to see each other soon, to keep in touch with visits to each other's hometowns. We decided that by the time we reach 75, there should be another big do. When we reached home there were dozens of photos and messages on our Whatsapp chat, lots of thank-you notes to the organisers who had gone to great lengths to organise this awesome reunion. 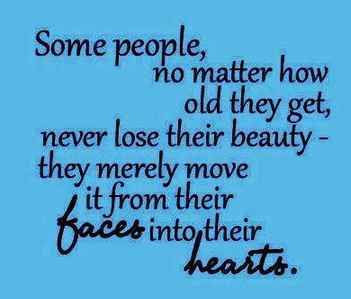 Yes, convent girls from the class of 1964, you were sweet 17 then and now in 2017, you are 70 years old but you have all aged well. We look foward to another reunion soon, God willing.